Click on image thumbnails to see images full size. Frederick was already in the Gloucestershire Yeomanry before he was recruited by the Royal Flying Corps. 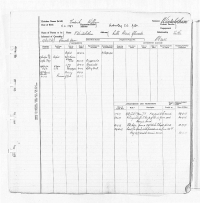 He arrived in Oxford in October 1916 for his initial training which lasted for 2 months. In December 1916, he was transferred from Oxford to Netheravon in Wiltshire eventually graduating as a pilot on 27 March 1917. A week later, he was attached to C.F.S. E.F. No 29 Squadron and dispatched to Belgium as a Rotary Scout. His service as a Scout was short lived as he was reported missing on 13 July 1917, having been shot down and captured by the Germans. Having already survived much longer than the average pilot, Frederick was captured by a young German Officer of the anti-aircraft battery who pulled him from the wreckage of his plane with only a broken and bloody nose! Frederick was held for just over a week in a prisoner's cage near a German aerodrome. The relatively new pastime of flying was the subject of many conversations between him and German pilots, for whom, he had great respect. 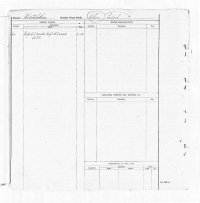 There were soon enough Royal Flying Corps casualties to warrant their transportation to a basic transit camp in Karlsrue, Germany before being dispatched to a P.O.W. camp where he was to spend the rest of the war. Whilst a prisoner of war, Frederick learned to speak German fluently, and his natural ability as a leader, resulted in his appointment as the Camp Adjutant. 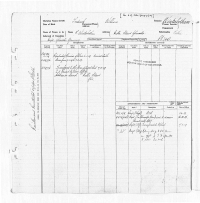 At the end of WW1, Frederick was repatriated, arriving in Leith, Scotland, on 6 January 1919. Although initially given 1 week's leave, he was declared unfit and transferred to the "Unemployed List". On 1 April 1918 he was promoted to Lieutenant and on 16 October 1918, he was promoted to Captain in the Gloucestershire Yeomanry. The war left Frederick unsettled about his future. He took a law degree at Oxford University with a view to following in his father's footsteps. It wasn't until early 1929 that he was offered the role in the British Secret Service that would take him into Hitler's confidence and eventually earn him a C.B.E. The Nazi Connection (The personal story of a top-level British agent in pre-war Germany). .... and also listen to his story here.